I thought it would be pretty nice to do a different interview this time, so I asked one of, in my opinion, the best voices in house music for doing this. It’s no one else than Max’C who is recently back on fire and is the man behind the vocals of the legendary “I Found You” by Axwell. I hope you enjoy it and if you would like to see interviews with other artists just send me suggestions to info@toblip.com. Max’C: Hi Tobias, my name is Charles Salter aka Max´C and I originally hail from Louisville “Dirty South”, Kentucky and now based in Helsinki, Finland. toblip.com: You’re into house music for a long time now but I guess most of my readers or most of the house music fans don’t know that you did a huge step back a while and moved to Finland from the US. How did that come? Max’C: I´ve been into the House Music scene since 1990, but my musically background is deeply rooted in Gospel, Soul, Jazz and R&B. In 84′, I was contracted to teach Dance in Finland and became the first person to teach HipHop/Poppping/Locking/Bboying at the Helsinki Dance Academy. toblip.com: I read that you also did a solo album and of course you were not always into house and electronic music. How did the connection to house music start and what is electronic music for you? In 1993, I was the lead singer of Helsinki based trio called “3rd Nation” with UK born musician James Black and Finn Kari Kaivola, we sent our demos to hit producer at that time, Stone Bridge (Sweden) heard our tunes and went crazy for us. So we ended up signing with SweMix Productions in 92-93. Our first Single was “Stand Up” that was released in the UK under Champion Music. Our second release became a Smash Hit in the American Billboard Hot 100 Singles Charts at #8 “I Believe” and 3rd Single, cover tune from Jody Watley “Real Love”. House music for me started back in the late 80’s. Chicago House is what I liked, it had to have the Soul in it. That’s what’s missing in today’s House Music – Soul! toblip.com: “I Found You” with Axwell was probably your biggest success, is it also personally your biggest success in your career/life r what was maybe the best decision you made? toblip.com: Last year your track with Max Vangeli “Look into your heart”, especially the remix by Carl Louis and Martin Danielle Remix, was a huge record for me and nowadays there are a lot of new tracks featuring coming up like “One For Me” with James Talk and Ridney or “Flashing Lights” with Jerome Isma-Ae and Daniel Portman. What else can we expect? I heard you’re also working on new material with Heikki L.
Max’C: Tobias, I´ve got so much material out there and it´s hard to remember all the Producer/DJ’s I’m working with at the moment, but yes, Hidden Sound, Prok & Fitch, Nari & Milani, Cristian Marchi, Heikki L, DJ Smash, Kimble K, Per Ox, Laidback Luke, Disfunktion, Dj Bream, David Ventta, Roger Sanchez, Chris Kaeser, Mikael Weermets and just so many more. toblip.com: How does a typical collaboration work out? Do you have some ideas and send the lyrics to the producers or is it just the normal way that they contact you if they have a beat? 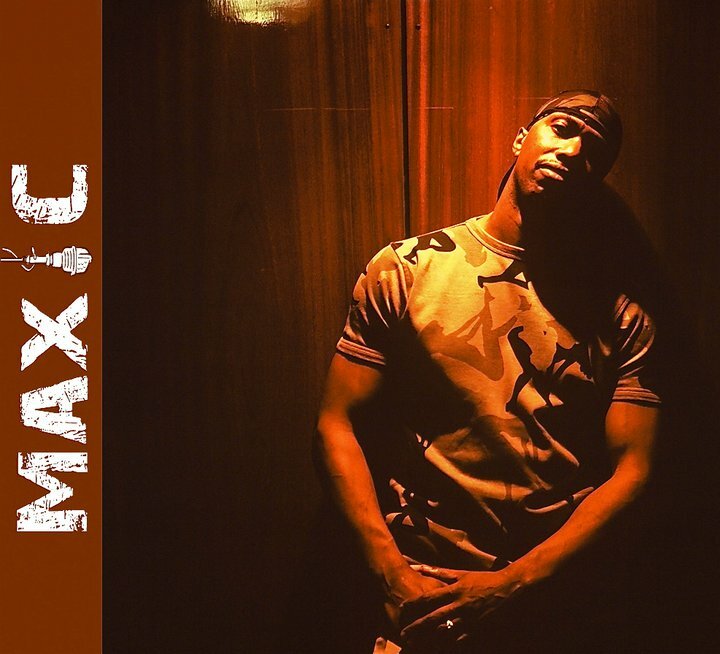 Max’C: The DJ’s normally contact me and ask if we could make a collaboration and I tell them to send me their music back and info on who they are so I can do some research on who they are and what they’ve done. Once that´s done, If I like what I’ve read about the Producer and the tune, I see if I can come up with something lyrically and melody wise. Axwell – I Found You from Victor Carvalho on Vimeo. toblip.com: What are your influences when you’re writing lyrics and with who you really like to do a collaboration? toblip.com: Tell me your current and your all time top 5 tracks, no matter which genre.